Kathford International College of Engineering and Management is a highly-ranked college dedicated to inspiring teaching, excellent student experience, and strong employability. Established in 2003 and located at the heart of the city of Kathmandu, Kathford gives students access to outstanding faculty and excellent resources. Kathford is one of only a handful colleges affiliated to Tribhuvan University with diverse programs of Engineering and Management. Kathford offers three Bachelor level Engineering programs BE Civil, BE Electronics, Communication & Information, BE Computer, along with two IT programs BSc. CSIT and BCA and two Management programs BBA and BBM. A home to over 1000 students, Kathford has been producing highly competitive graduates and scholars since inception. Kathford is founded with the vision to become a leading education hub that provides transformative education for students stimulating their curiosity and enables them to turn their aspiration into a lasting basis for success, social impact and continuous learning. The college offers a unique combination of student-centered pedagogy in conjunction with laboratory, field, project and research works. Kathford’s strong alumni base, who have turned into market leaders, entrepreneurs and scholars, is among the reasons why Kathford is the best place to study bachelor’s degree. Kathford encourages students to become the best they can by facilitating them with all kinds of resources and engaging them in numerous events and activities, giving them opportunity to experience true personal and professional growth. Kathford is a top engineering, management and IT college. Our vision is to become a leading education hub that provides transformative education for our students stimulating their curiosity and enabling them to turn their aspiration into a lasting basis for success, social impact and continuous learning. For this, we will provide highest quality teaching and engage our students on the inventions of the future. We will reach out and recruit professors who are not only academic experts but also practical wizards so that our students can benefit with maximum learn and practice. We will also support and enable our students to become what they want to become by providing best learning environment and resources. Our vision is to serve the needs and aspirations of society, in our individual capacities and together as the community of Kathford, inspiring our students to become socially responsible and teaching them to give back to the society. For this, we will foster a service ethic in our students and instill the sense of social responsibility by engaging our students in different social activities. We will teach the values of professionalism, inclusiveness, integrity, and community service and will also keep them at the heart of everything we do. We will also encourage students who cannot afford the quality education by providing financial aids, so that our community can grow to its full potential. We, at Kathford International College of Engineering and Management, have a profound belief in Quality, Affordability and Employability, and we have been delivering it since 2003. Through outstanding academic results, amazing learning resources, expert faculty members, inspiring learning platforms and encouraging co-curricular activities, we have demonstrated to be one of the best engineering and management colleges in Kathmandu. We take pride on our students with high aspirations, sound professional skills and confidence, and our graduates with amazing titles alongside their names. 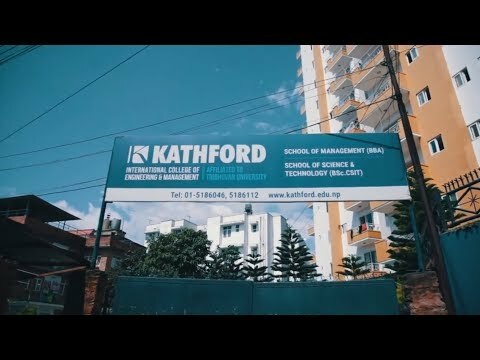 Kathford offers the most respected engineering courses – BE in Civil Engineering, BE in Electronics, Communication & Information Engineering and BE in Computer Engineering along with Bachelor of Business Administration (BBA), Bachelor of Computer Application (BCA), Bachelor of Business Management (BBM) and B.Sc. in Computer Science and Information Technology (BSc.CSIT). Kathford ensures that the University curricula of these courses are supplemented with rigorous laboratory exercises and industry exposure. We realize your dream of becoming a successful professional in your career and an influential person in the society, and we lay our best efforts to help you become one. I welcome you to Kathford for a fulfilling and enriching experience. Kathford boasts of best academics and professionals leading the program. Our students have pride in their faculty members, who have spent decades in university, research, and consultancy. They bring experiences and new found knowledge into the classroom. Kathford conducts research and project work as an integral part of the study. These activities are supervised by the faculty and are designed to help students deepen their knowledge in a particular area of interest. Kathford hosts a range of workshops and seminars on varied areas of ICT and software. The workshop and seminar programs bring together our students and faculties with the domain of specialists from academia, research, ICT industry, and software industries. Kathford invites eminent academicians, professionals and experts in specialized area of software industry and ICT industry as guest speakers. These speakers share their ideas, views, knowledge and experiences with faculties and students. Kathford offers tutorial classes in selected subjects for the needy students. Purpose of these tutorial classes is to support students to achieve subject knowledge and skills to meet the curriculum objectives. The R&D Unit comprises of a panel of Kathford faculty members. This unit consists of ROBOKATH, KATHFOSS, Creative Club, KathCESS and Kathford-Xilinx University Program (Kathford-XUP Center). They bring students, faculty members and experts together to design different projects, research on latest technologies, and transform ideas into implementation. RoboKath is the Robotics Research and Development student body of Kathford that indulges and engages students into robotics research, design and development. It conducts different trainings and workshops like basic electronics & robotics training; line tracking robot design training; Arduino and AVR (ATMEGA-32) Microcontroller training; PCB simulation, designing and fabrication training; and drone development training. RoboKath has become a decorated platform for students to share and enhance their knowledge and skill, and to design machines that can create wonders. KathFOSS is Free and Open-Source Software community of Kathford that indulges and engages students into open source software research and development. It organizes different training and workshop for students to enhance programming skills like KathFOSS Talk series, Linux Talk series, GitHub Workshop, Wireless Hacking Workshop, Cyber Security Workshop, Open Source Technology Training and Hackathon and Coding Competition. 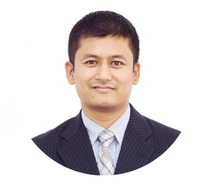 Kathford-XUP Center is a research center developed in association with Digitronix Nepal, and has obtained 25 number of VIVADO license and other ISE licenses in order to conduct FPGA based Research and Development in Nepal. Kathford-XUP Center has also organized series of awareness programs and national level competitions in FPGA. Creative Club is a student body that encourages students to unleash their creative side by organizing idea camps, competitions and forums. Creative Club develops professional skills and enhances communication and interpersonal skills, and also enriches students with the spirit of teamwork. KathCESS is a forum of Civil Engineering students for conducting academic and allied activities including trainings, workshops and events, participating in external competitions and discussion forums. KathCESS has been instrumental in connecting our Civil Engineering students with companies, other engineering colleges and academic fraternity. Spread Your Knowledge is a unique and highly effective learning practice at Kathford. It aims to encourage and enrich the research and self-learning practice among students which helps them to learn things faster and go beyond horizon of the curriculum. It encourages students to share their knowledge with colleagues, juniors, seniors and teachers, thus providing a sublime platform to stimulate and encourage research, creativity and self-learning practices. Kathford Scholarship is a full course scholarship provided to the best students enrolled in BE Computer, BE Electronics and BE Civil. The scholarship covers all fees for the four-year course. The students for the scholarship are selected based on the results of IOE Entrance Examination. Academic Excellence Scholarship – Engineering is awarded to the best students of every course in engineering stream in each semester. The students are selected based on the results of each semester examination, and their tuition fees are waived for the following semester. Kathford International College encourages students from government schools for further education. Thus, four best students who have passed their SLC/SEE Examination from Government schools are rewarded with Government Education Scholarship. This scholarship covers 50% of total fees of the four-year course. Academic Excellence Scholarship – BBA and BBM is to reward the highest ranked BBA and BBM student with tuition waiver for the following semester. The scholarship is based on the results of each semester examination. EB Pearls Australia Scholarship rewards Total 2 girls from BSc CSIT department. The scholarship is worth 50% of tuition fees for whole course. This merit-based scholarship is provided based on the scholarship test and interview conducted by experts of EB Pearls Pvt. Ltd. during the first semester of the course. The scholarship is provided by EB Pearls Pvt. Ltd., a Sydney based IT Company rewarding the academic excellence the students. Up to 100 percent Scholarship in tuition fee for ten IOST Entrance Toppers. Academic Excellence Scholarship – BSc CSIT is to reward the highest ranked BSc CSIT student with tuition waiver for the following semester. The scholarship is based on the results of each semester examination. EB Pearls Australia Scholarship rewards Total 2 girls from BCA department. The scholarship is worth 50% of tuition fees for whole course. This merit-based scholarship is provided based on the scholarship test and interview conducted by experts of EB Pearls Pvt. Ltd. during the first semester of the course. The scholarship is provided by EB Pearls Pvt. Ltd., a Sydney based IT Company rewarding the academic excellence the students. Academic Excellence Scholarship – BCA is to reward the highest ranked BCA student with tuition waiver for the following semester. The scholarship is based on the results of each semester examination.